My mom and nephew came down for a visit and I took them to Bald Head Island for a day of adventure. 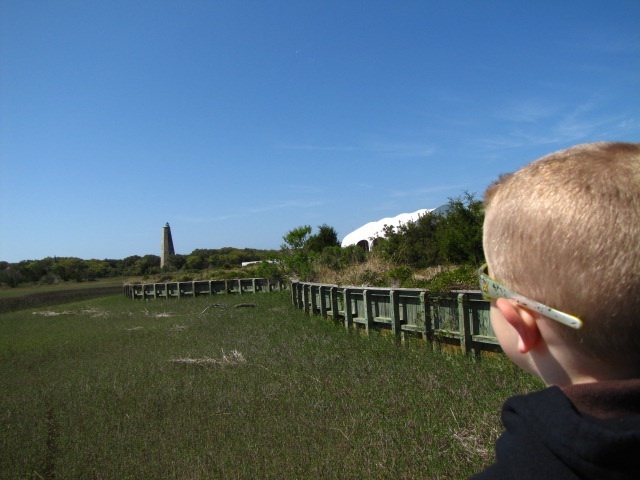 Then I wrote about it on The Island Times, Bald Head Island's blog. I had the opportunity to go to Bald Head Island a couple of days ago and meet with the Old Baldy Quilters. The Old Baldy Quilters are a group of full-time island residents who are nearing completion of a quilt depicting the history of the island they call home. 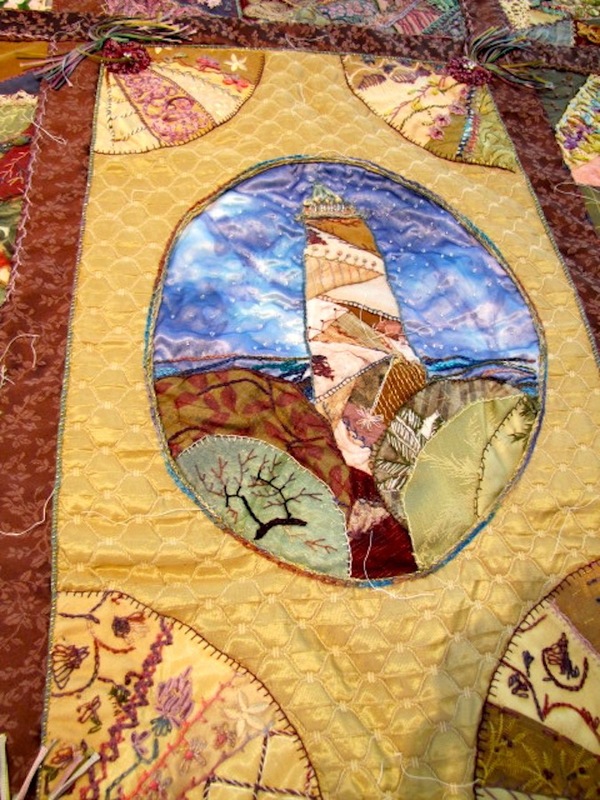 The quilt will be raffled off and the proceeds will benefit the Old Baldy Foundation. I wrote a story about them for The Island Times. Now that it is officially spring and we're set here in Wilmington to have a string of 80˚ days, both Lauren and I have the gardening bug. Just after we bought the house, I built three garden boxes onto our deck and we grew herbs and tomatoes and zucchini and some flowers. We grew mint in pots (and made some tasty drinks; I'll share the recipes as summer comes on). We bought a key lime tree (it was $5 at the Riverfront Farmers' Market). What we didn't expect to grow was a sort of moderated passion for gardening. Last fall I doubled our garden size with another raised bed. We grew lettuce, radishes and chard through the fall and winter, and some of our chard survived the few frosty days we had. 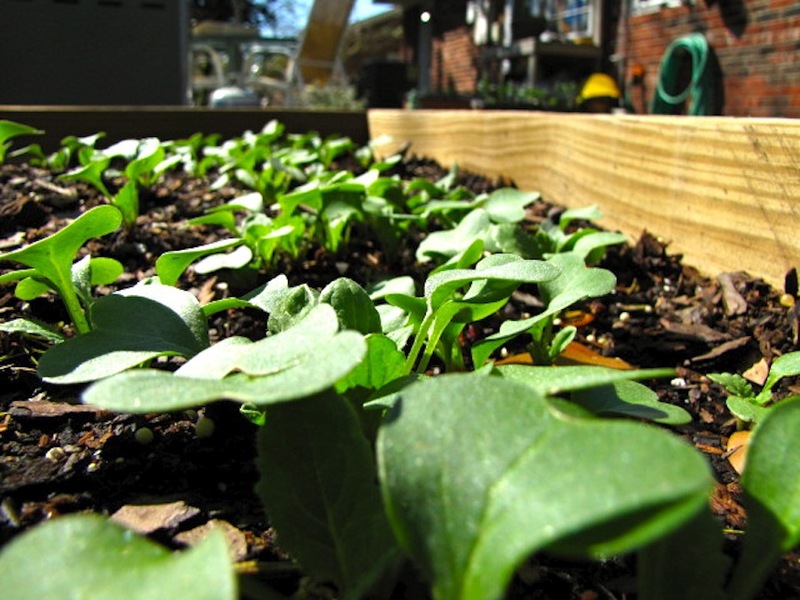 This year, we have an early crop of lettuce, chard, salad burnet, radishes and arugula (which has yet to sprout for some reason) in the new bed. As it gets warmer and we've used it all or it starts to bolt, we plan on growing zucchini, peas, cucumber, tomatoes and peppers there. 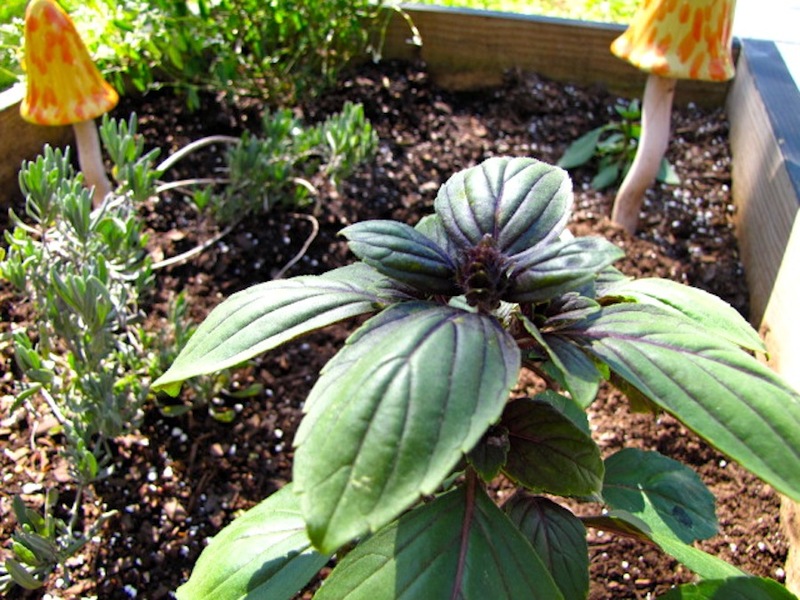 In the older beds, we're doing herbs--African Blue basil, Thai basil (which has a sort of anise flavor), lemon thyme, oregano, rosemary, pineapple sage, lavender--as well as flowers and tomatoes. This year we are trying to grow many of our plants from seed. 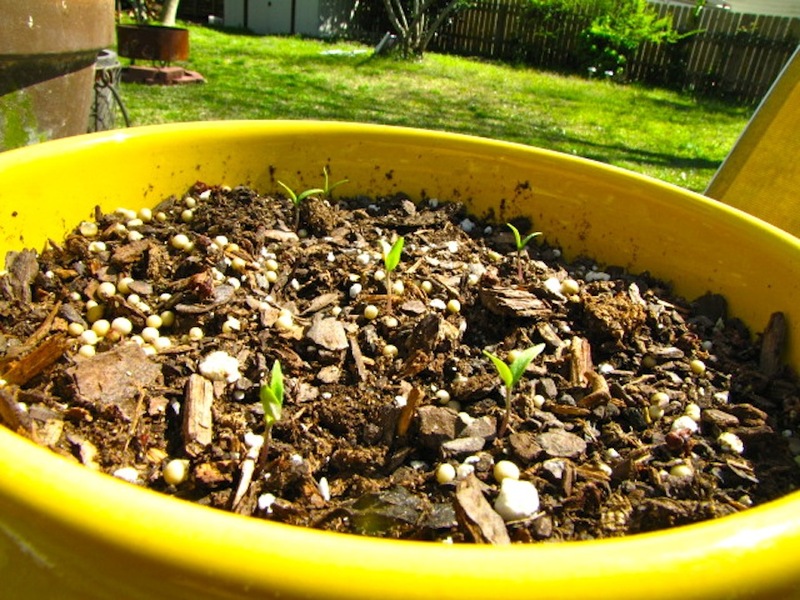 Several varieties of tomatoes, cucumber, peas (which are sprouting like mad), zucchini, peppers and flowers are all in pots or Dixie cups. Every night I bring them into the laundry room and every morning I take them outside into the sun. 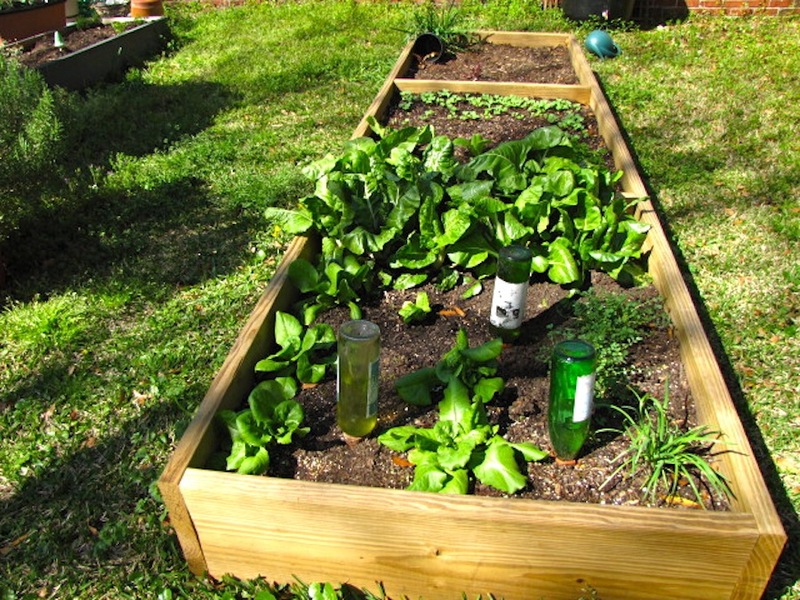 (I could have built a cold frame, but I didn't for two reasons: 1. where would I keep it? 2. I didn't want to.) It's exciting to go out and find a new plant sticking out of the soil, especially knowing that it will produce 20 lbs. of tomatoes or a zucchini as big as our cat (we grew one as big as Ernie Brown last year but I guess I deleted the picture). Kathy, my mother-in-law, owns a gardening store, Curb Appeal, in nearby Southport. 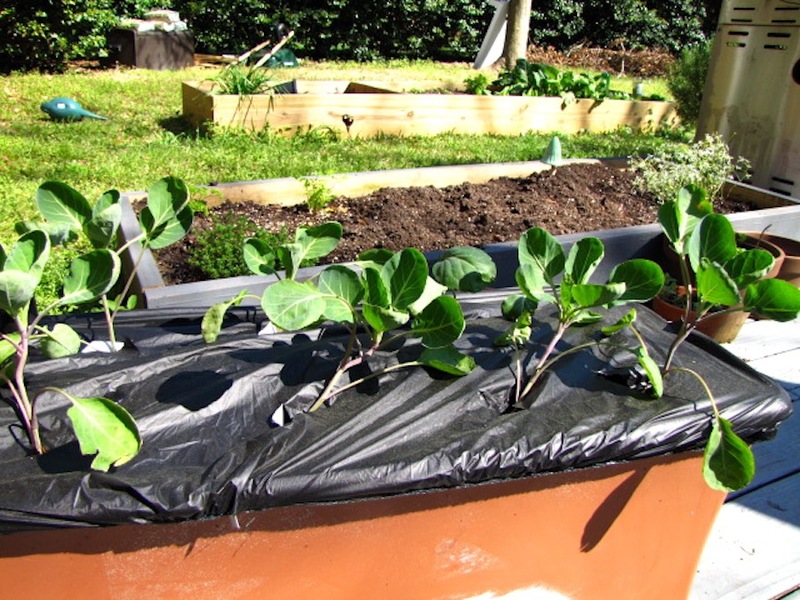 She gave us an Earthbox (pictured above with the brussel sprouts). Last year our tomato and pepper went off in the Earthbox; I'm talking a seven-foot-tall tomato. 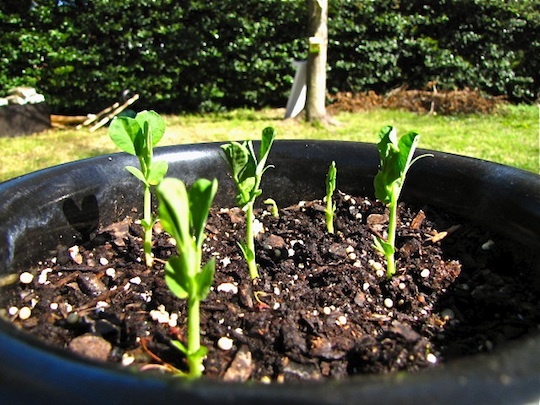 Hopefully we'll have brussel sprouts the size of tennis balls. With all the plants, we have plenty of places for lizard to live. 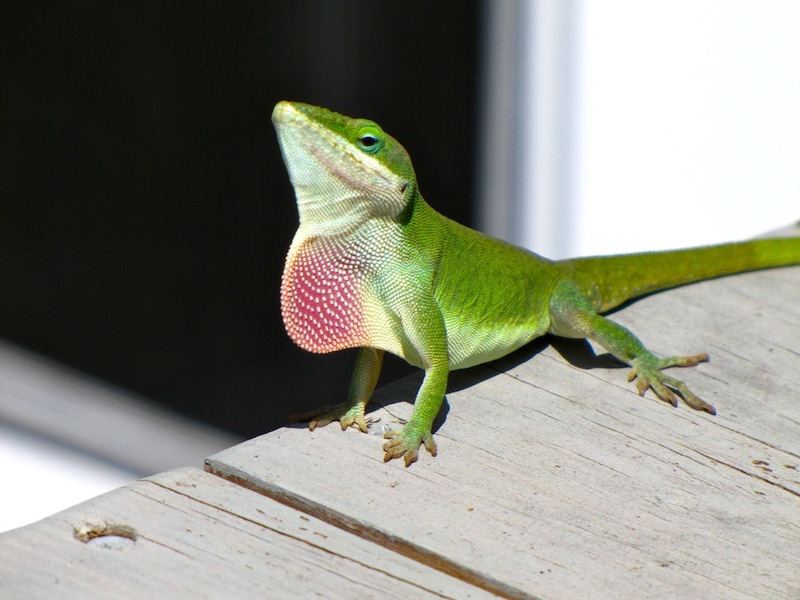 They're called anoles, are about four inches long from tip to tail. The males are bright green with a red throat and the females are brown. The place is lousy with them. But they eat mosquitoes and a few other bugs. Both Ernie Brown and our nephew Silas go bonkers when they see one and even more bonkers when they catch one.